Sony’s PlayStation 4 – the hottest-selling gaming console in the United States – has been in the market for a while now, and since its release, hackers have been tinkering with it to find a way to run unauthorized software. Though breaking the protection on PlayStation 4 is a huge deal, a hacker who calls himself CTurt has claimed to develop a fully jailbroken version of the PlayStation 4 with the help of a kernel exploit that he previously created. The current jailbreak allows dumping of the system RAM from other processes and installing custom firmware that can be used to run homebrew applications that aren’t approved by Sony. Of course, there is still a few other security issues to get by, but it is a foot in the door for game piracy, which can affect the gaming market as a whole. 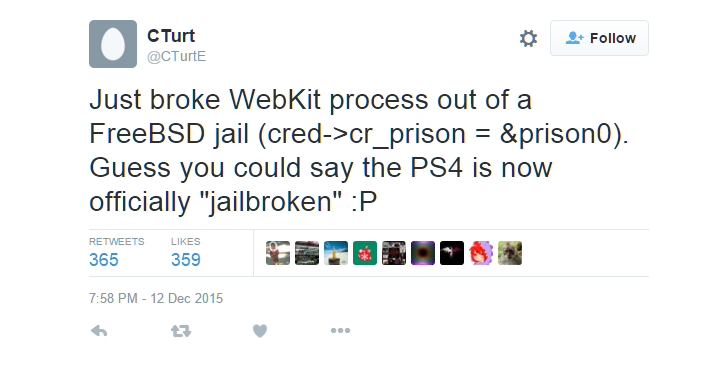 The Twitter account of CTurt seems toindicate that currently the exploit only works for PlayStation 4 firmware version 1.76, but apparently it can be tweaked to work for more recent firmware. CTurt successfully managed to take advantage of an exploit in PlayStation 4 v1.76 to inject an external code in the system, thereby taking control of the hardware. 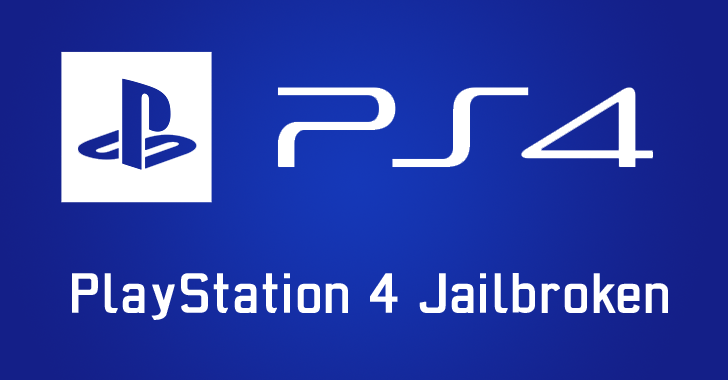 Sony would certainly be unhappy with the launch of PlayStation 4 jailbreak and would be trying hard to eliminate any vulnerabilities for the most recent version of PS4 firmware.